The vibrant food and wine culture of the Greater Geelong region will be front and centre over the weekend of March 10-11 2012 with the staging of the inaugural Geelong Food and Wine Show. Shining the limelight onto the region will be celebrity chef ambassador Melbourne boy-done-good George Calombaris plus dessert king Adriano Zumbo and the surfing chef Ben O'Donoghue. Over the two days, Deakin Waterfront Campus will be transformed into a marketplace of chefs, providors and winemakers. More than 80 exhibitors will be presenting their produce, with a series Masterclasses run by George, Adriano and Ben, as well as local chefs, cheese makers and winemakers. The Geelong Food and Wine show is part of the Melbourne Food and Wine Festival, and acknowledges the importance of produce from the Geelong region to Melbourne's food and wine culture. The Geelong region, stretching across the Bellarine, Moorabool Valley, Surf Coast, Otways and Western Victoria regions, is home to some of Victoria's most revered wine and produce. The show is also a great opportunity to sample the talent on flow with the booming local restaurant industry in one spot. And no Geelong event would be complete without the city's favourite footy players, so expect to see some familiar faces cooking up a storm over the weekend. The event is being supported by the City of Greater Geelong and Geelong Otway Tourism. A website with full program details will be live in January 2012. Diamond Creek Estate with Christmas seafood. THIS is the story of how three colleagues will celebrate Christmas this year, and some quite different wines they'll be doing it with. The first is a group of around a dozen couples who through Mother Nature's misfortune, have never experienced the joy of having children. They come together early each December, pull out their cheque books and go on a buying spree for kids' toys… which they give to agreed charities and childrens' hospitals. On Christmas Day they come together again and share their love of Chardonnay, each contributing the least-known label they can find and sharing it over a Very Long Lunch, and interestingly this year two of them have chosen the same label. It's from Diamond Creek Estate in the small, cool-climate winemaking area of the NSW Southern Highlands, and the vintage chosen is the excellent 2008.
coming for Christmas Day and lamb's on the menu. The second of our unusual Christmas lunches is hosted by a mate who invites all his single employees – this year that'll be around forty of them – to another Very Long Lunch at which he, his wife and their adult 'kids' will cook ten legs of lamb in a battery of hooded barbecues, and roast vegies in as many electric frypans. And as he says he's got to pray it won't rain, we've tipped him towards a Cabernet Sauvignon that'll be ideal with his roast lamb luncheon – and is appropriately-labelled Hail Mary Full of Grace. It's made by the irrepressible Julie Barry who owns the equally delightfully-titled Good Catholic Girl winery in the Clare Valley; with fresh and intense black fruit flavours and spicy tannins, it's got lamb and home-made mint sauce written all over it. Julie made just 133 cases; phone her on 0419 822 909 if you want to grab one or six at just $25 a bottle. with West Aussie Voyager Estate Chenin Blanc. 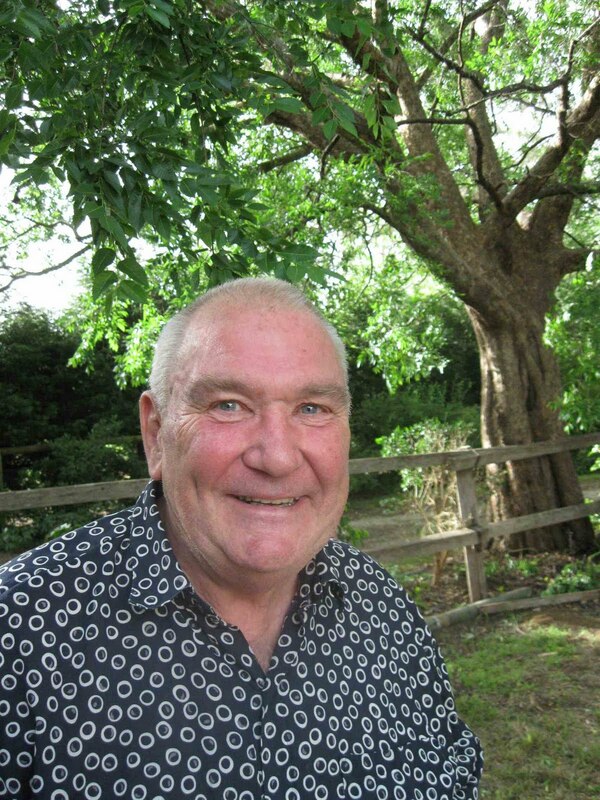 And the final unusual one is a mate who traditionally finishes his family's Christmas lunch with a homemade apple pie and custard to a recipe handed down a half-century ago by his Grandmum who always said "on Christmas Day we don't have to eat stodgy English Christmas pudding." And the wine he'll have with it will be a Chenin Blanc, not one of our biggest sellers and mostly made in Western Australia, with his choice a 2011 from Voyager Estate; at $20 its great value to enjoy with his Grandmum's apple pie and custard. picturesque 200 acre property at the gateway to Mudgee, now home to Optimiste Wines. But it seems that optimism has certainly paid off, and just as they release the wines from their celebrated 10th vintage they set to work on renovating the 100 year old, dilapidated Australian farmhouse on the property which this summer will become the Optimiste Tasting House. A rustic setting with wide breezy verandahs and stylish and welcoming comforts, the Tasting House will become the long anticipated showcase for Optimiste wines. 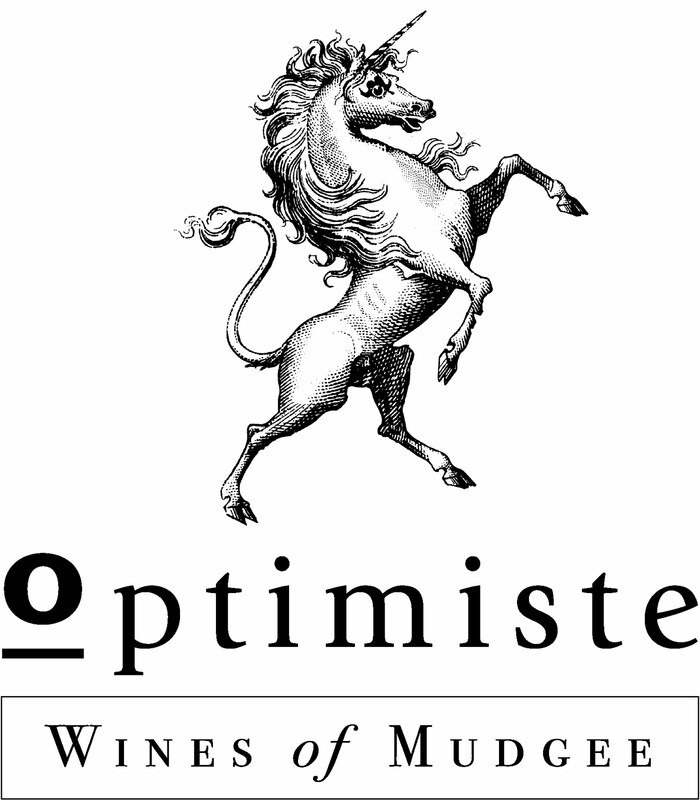 Overlooking the manicured vineyard across the rolling hills of Mudgee, visitors will be welcome to taste the 10 wines that form the Optimiste range, together with other daily 'tastes' on offer designed to match each wine; bringing a new cellar door experience to the Mudgee region. The name was inspired by a concept which the Dadds openly admit to 'borrowing' from Helen Keller who was quoted as saying "Optimism is the faith that leads to achievement. Nothing can be done without hope and confidence", and duly inspired by the challenges of farming as well as their young sons challenges with disability. The unicorn which they have incorporated in their logo symbolizes this hope and passion. All three wines reflect the superb conditions from the last 4 spectacular vintages on their perfectly elevated, sloping vineyard about 10km to the east of Mudgee. Idyllic growing conditions, spring rain and dry breezy summers, then cool mornings during harvest have produced to fully ripe, finely structured, maximum flavoured wines. The Pinot Gris has been made in the Alsacian style, with a small portion fermented in old French oak barrels to give a certain richness. Like Paris in the spring, the Merlot based Rose is bright and full of life and has been intentionally made to highlight the rich, spicy red fruit flavour typical of Mudgee Merlot, with a balanced dry finish. The 2008 Shiraz is a knockout with elements of the typical savoury Mudgee Shiraz but winemaker Michael Slater has added a touch of elegance inspired by the Rhone styles of Shiraz. 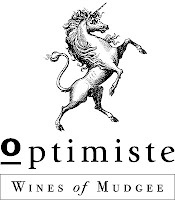 Optimiste Wines will soon release their first 100% Merlot from the exceptional 2010 growing season. Named 2010 Optimiste "Rooftops" Merlot (RRP $20) in honor of a close family member, a Merlot-loving old builder who is undergoing cancer treatment, all profits from this limited first release will go to the Prince of Wales Hospital Cancer Unit. www.optimiste.com.au Is your glass half full…? Mudgee is one of Australia's oldest wine growing regions. Wines have been made in this NSW region continuously since 1858. It was however during the 1960s that a renaissance took place, with the establishment of a number of family owned brands that extended the plantings. The Burnbrae site was identified in 1968 for its viticultural advantages. Translating as 'the sloping field down to a stream', Burnbrae sits at 600 metres elevation, with good seasonal rainfall and well-drained soils derived from the shale and slate. The current Burnbrae winery sits beside the original site of the open-air winery, which was arranged beneath an established peppercorn tree. The peppercorn tree is still a key feature of the picturesque Burnbrae cellar door and cottages. The Burnbrae vineyard was planted in 1968 and at the time, was one of only a handful of families making wine in Mudgee. 40 years later, the Australian wine industry has expanded ten fold, however it is these older plantings that can't be replicated. The current custodians of Burnbrae are Tony and Jill Bryant, who sold their broad acre farm after identifying the vineyard as a special piece of Mudgee's winegrowing history. Situated on the outskirts of the Mudgee township in the Erudgere Valley, the Burnbrae winery is overseen by one of Australia's most experienced winemakers, Frank Newman. After working for sixteen years with Penfolds and then twelve with Angove, Frank moved to the lesser-known Mudgee region, after seeing the quality of fruit being grown on these aged vines. Two of the latest wines to be released from Burnbrae comprise the 2011 Burnbrae Pinot Gris and their signature wine, the 2008 Burnbrae Shiraz. The 2008 Burnbrae Shiraz is made from grapes grown on the estate's 40-year-old vines. "2008 was one of the best vintages we have had in a decade," commented Burnbrae winemaker Frank Newman. "We had great soil moisture from the winter rains, and coupled with the long cool ripening, resulted in great depth of flavour in the fruit." The Shiraz was handpicked and plunged for the first week after harvest in open fermenters and basket pressed. 90 per cent of the wine underwent secondary malolactic fermentation in barrel prior to the total blend undergoing a further two years maturation in a combination of a tightly grained American and French oak. 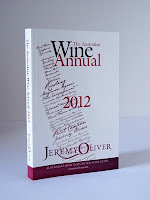 "2011 was a fascinating vintage in Mudgee. Many vignerons didn't harvest any grapes. Our Pinot Gris was sourced from a cooler sub region in the valley, with vintage somewhat earlier than usual. The Mudgee crop was well down from previous years, however the wines that were made are proving to be of a considerably high quality. The earlier harvest resulted in lower alcohols, great natural acidity, whilst maintaining plenty of flavour," concluded Frank. 2012 NSW Wine Festival - The Month to Wine & Dine! 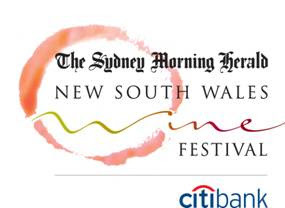 2012 sees the return of the NSW Wine Festival. Now in its fifth year, this is the State's premier celebration of New South Wales' award winning wines and beautiful wine regions. Each year has seen the festival grow both in crowd numbers and in the number of fantastic wine and food experiences, and 2012 will be no exception. An estimated 35,000 people are set to attend the opening event in Hyde Park South (at a newly expanded venue) and for the very first time, Sydney's wine bars and pubs will join the program. All NSW Wine Festival details are available on line at www.nswwinefestival.com.au. The full program will be published on the website and in The Sydney Morning Herald on February 21, 2012. One of the country's largest wine and food tasting events is now bigger than ever with a new layout in Hyde Park running along the length of Park Street in the city centre. This bigger area in one of Sydney's most stunning alfresco (and convenient) settings will give visitors more room to meet around 100 talented winemakers who will be bringing their favourite drops to the city from NSW's 14 diverse wine regions.There will be even more shaded seating areas in which to enjoy a vast array of exciting new wine styles accompanied by all-day live music and cool entertainment, creating a world-class festival atmosphere. Sydney's wine bar scene has exploded in the last year – just look at the latest Sydney Morning Herald Good Food Guide with its extensive listing of interesting small bars. This year, they'll be sharing the festival spirit with 'NSW Wine of the Month': offering a glass of NSW wine and matching bar snack for just $15. Each year during the NSW Wine Festival, leading Sydney Morning Herald Good Food Guide restaurants throughout NSW create exclusive wine-matched lunch and dinner menus from just $30-$50, including wine. Enjoy the best our state has to offer for a bargain price. And don't miss the very special Tour NSW Wine Regions Dinners - a series of unique degustation dinners featuring fresh NSW produce and matched to the finest NSW wines, and hosted by leading food and wine personalities at four selected hatted restaurants. To celebrate the NSW Wine Festival, the ever popular Pyrmont Growers' Market will transform its regular Market Chef stage into the Market Wine stage. Leading wine experts will treat market-goers to guided tastings of premium NSW wines, along with advice on pairing wines with delicious tidbits from key food producers. For full details and a list of participating bars and restaurants, see www.nswwinefestival.com.au, and look out for the special NSW Wine Festival program in The Sydney Morning Herald's Good Living section on Tuesday, February 21, 2012. NSW's 14 diverse wine regions are: Canberra, Cowra, Gundagai, Hastings River, Hilltops, Hunter Valley, Mudgee, New England, Orange, Perricoota, Riverina, Shoalhaven, Southern Highlands and Tumbarumba. Discover the passion of North East Victoria's local producers and meet the winemakers behind Rutherglen's world-class wines when the region hosts the ultimate party for gourmands - Tastes of Rutherglen - March 9-11 & March 17-18, 2012. 21 wineries celebrate vintage under sunny autumn skies and guests can indulge in perfectly matched food and wine combinations. New this year alongside exciting "culinary experiences" are some interactive "culinary activities" at each cellar door. Music, food, wine and authentic, rustic fun seamlessly blend at what has become one of regional Victoria's best Festivals spanning two weekends. The Festival begins on Friday, March 9 with Tastes on Main - a regional showcase dinner at the Rutherglen Wine Experience on Main Street, hosted by The Winemakers of Rutherglen. Special guest at this year's dinner is Jared Ingersoll, chef of Sydney's Danks Street Depot, where he sources the best Australian produce and supports artisan producers. Then the journey begins over the two weekends as each winery offers its own "culinary experience"! Some of North East Victoria's favourite chefs join with talented winemakers to present unique and fabulous "culinary experiences" at each winery. Festival-goers can indulge in a fabulous dish matched to a sublime wine, or something more interactive such as a behind the scenes tour with a winemaker to see what really goes on during vintage! The choices are endless at this action-packed food and wine festival. Transport is easy over the two weekends thanks to the TAC Winery Shuttle Bus which circles between all 21 wineries, and festival-goers can hop on and off as they like in this safe and hassle-free way to tour the wineries. Pick-up and drop-off also available in Rutherglen, Wagunyah & Corowa, Albury Wodonga, Howlong, Mulwala, Bundalong, Chiltern, Wangaratta and Yarrawonga. A Designated Driver Reward Campaign, also sponsored by TAC operates all weekend with information available at participating wineries. All-inclusive passes make it easy! Great value "all inclusive" tickets are available for pre-purchase or on the weekends and are also designed to make festival navigating simple and easy. Guests simply purchase a ticket online or from participating wineries or tourist information centres and let the indulgence begin! Ticket Packages start from just $50 and include an official Tastes of Rutherglen glass for tastings at all 21 wineries plus two tickets for a culinary "experience" or "activity" at the winery of choice, Additional culinary tickets are $20 each and individual glasses $12. Over both weekends, a range of events will take place at wineries including themed wine dinners, produce markets, dinners under the stars, live bands and much more! There is fun for the whole family, with plenty of wineries offering children's entertainment. Stanton & Killeen Wines & Green Shed, Beechworth – Lemon paprika Rivalea pork medallions on a cozido of white bean, roast tomatoes, pork sausage and garlic infused olive oil topped with crackling and a parsley and coriander salad, matched to the Stanton & Killeen 2009 Prince Reserva. Scion Winery – After dark by After Noon – French chocolate hazelnut torte, hand-made leaf of nougatine dark chocolate, Gundowing hazelnut & frangelico ice cream with a touch of raspberry – matched with a chilled French-style Scion 2007 semi-sweet Durif. St Leonards Vineyard - Baile Salsa! : always wanted to travel to Spain and get some salsa dance lessons but no time to do so? Those visiting St Leonards during Tastes of Rutherglen can indulge in a salsa dance class they won't forget! Chambers Rosewood – Learn to brew the perfect cup of coffee at home at an entertaining workshop at Chambers Rosewood cellar door! Plenty of tips and a sample bag and mug to take home. ichael's ate$650 worth of wine to be won! Buller's Winery – Enjoy special performer Renee Geyer on Saturday 10 March! Australia's Queen of Soul in concert at Buller's with bar selling wine, champagne cocktails + strawberries & cream! Cofield Wines – live music, regional produce stalls, and entertainment for children and great dishes from The Pickled Sisters Café! All Saints Estate - A Day on the Green – Saturday March 17 – Noiseworks, Ian Moss, Ross Wilson, Daryl Braithwaite & more performing in a five hour music feast! A celebration of the Oz rock history they defined, enjoyed with All Saints Estate wines, or course! All Saints Estate Twilights Dinner in the Vines – A popular event on Sunday, March 11 at 7pm to celebrate Rutherglen's food heroes in a regional with matched wines by All Saints Estate. Enjoy a night of dining under the stars. WAYNE Stehbens has built an enviable reputation as Senior Winemaker at Coonawarra's Katnook Estate for creating wonderfully fuller-bodied Merlots that always stand out from the crowd. 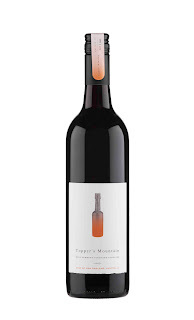 And his newly-released 2009 is no different: crafted from full-flavoured fruit from a low-yielding vintage, this wine's got beautifully up-front plum and red currant flavours, a nice sweetness to it – together with a touch of spice – and fine tannins. "We had average winter rainfall that helped budburst in Spring," Wayne recalls of the 2009 vintage. "But January was a testing time with a mini-heatwave, slightly below average temperatures for the rest of the vintage – that was the latest since 2004 – and yet resultant fruit of outstanding flavour." – as Sydney's Lord Mayor will do. 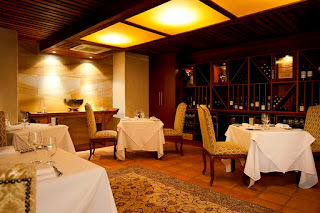 At $40 enjoy this one with rare rib-eye fillet and field mushrooms. SPECIAL OCCASION: WHAT better way to ring-in New Year than with the same wines that Sydney's Lord Mayor and her official guests will be enjoying at the Sydney Opera House on December 31 as they watch the annual fire-works that have made Sydney the New Year's Eve capital of the world. 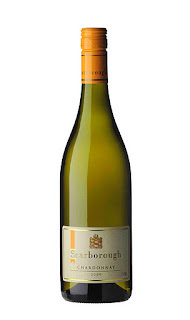 The Hunter Valley's Scarborough Wine Co has been chosen to provide the wines for this year's official bash – and at the Dawes Point Viewing Area for a selection of the 1.5-million people who will line the harbour foreshores for this year's event – and one in particular to think about for your own celebrations is their 2009 Scarborough Yellow Label Chardonnay. At $28 it's honeyed lime, butterscotch and roasted cashew flavours match beautifully most party foods. 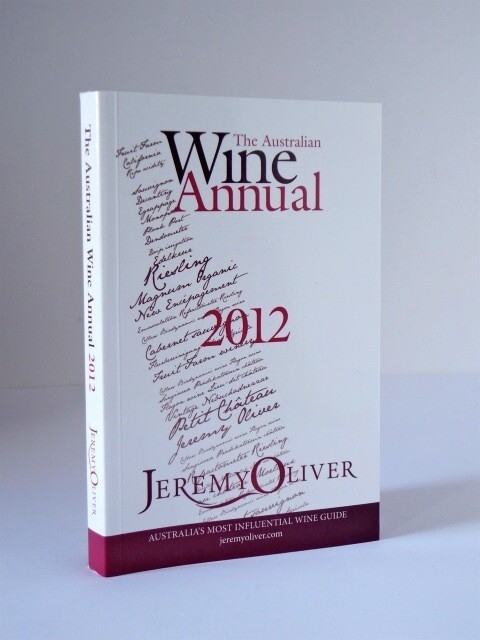 CHRISTMAS MUST: A GOTTA-have for yourself or a family or friend wine buff this Christmas is Jeremy Oliver's Australian Wine Annual 2012. Jeremy's used his 27 years industry experience to rate 14,000-plus current and back-vintages from more than 300 leading Australian producers… it's a must for those looking for the best from Under $20, to what Jeremy considers our Top 100 for that Very Special Occasion. Priced at $29.95 from most book shops. MUST have for wine buffs' Christmas stockings. Plunkett Fowles 490 metres wine range are seriously approachable wines that have been launched with new labels and additional varieties including Chardonnay, Sauvignon Blanc*, Pinot Noir and Shiraz. Matt Fowles, Chief Executive said: "We think the new label increases the visibility of 490 metres wines for existing customers and those wanting to explore the best of central Victoria's wine. The addition of new varieties to our 490 metres range also provides people with greater choice at this price point." Design wise, a topographic map of the Strathbogie Ranges underpins the labels across all Plunkett Fowles core range of wine, including 490metres. Matt Fowles said: "We think the contours of the map are a bit like the fingerprint of Mother Nature, visually displaying the landscape in which the vines grow and the wines are made - a vital piece of information that is inextricably linked to quality and elegance of our wine." The name for the 490 metres range was inspired by the height at which Plunkett Fowles winery sits in the cool, elevated plains of the Strathbogie Ranges - 490 metres above sea level. On the label this is displayed visually by a line intersecting a slope at the precise height and location of the winery. pork casserole or Japanese dishes. NSW's Southern Highland Wines has released a crackajack 2011 Oldbury Reserve Sauvignon Blanc that's very much in the style of its 2009 – the most-awarded wine in the company's young eight-year winemaking history. Located in picturesque high-altitude and cool-climate country outside the little hamlet of Sutton Forest, Southern Highland Wines produces a credible eight white varietals and styles, and five reds, under their S H W and Oldbury labels, the latter crafted from the best fruit from their 40ha of vineyards. Winemaker Dominic Bosch used skin contact, cold maceration and low temperature fermentation to create the 2011 Oldbury Sauvignon Blanc, that exudes a stylish personality with nice varietal lychee, kiwi fruit, thyme, lemongrass, lime and asparagus aromas that follow through with a smooth seamlessness on the palate. If you're into seafood, match this one with banana prawns, oysters or pan-fried snapper, or try it with a herbed pork casserole, Japanese dishes or blue cheese; pay $28. If you have trouble finding it locally, it can be ordered online through www.shw.com.au, with freight costs additional. with barbecued beef ribs or grilled tuna. Sutton Forest is 1.5hrs drive from Sydney or Canberra; SHW's Cellar Door is open daily 10am-5pm and their restaurant for lunch Thursday to Monday. ONE FOR LUNCH: FANS of Evans & Tate will know how the company's WA Margaret River vineyards enjoyed ideal vintages from 2007 to 2009, and now the just-released 2010 Evans & Tate Classic Shiraz Cabernet reflects a fourth great vintage that year too, with warm weather and low rainfall meaning low fruit yields that offered-up outstanding flavour ripeness and tannins. 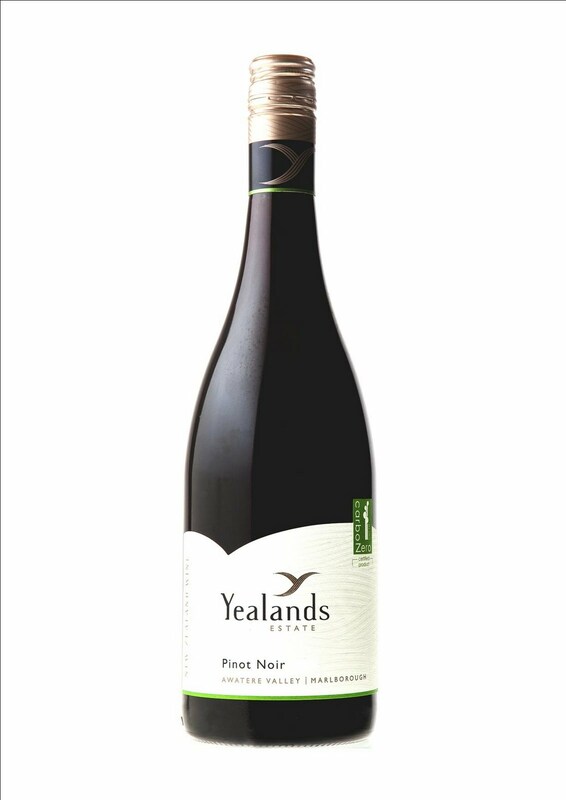 At $19.99 this is a wine with a beautiful palate of forward Shiraz black-fruit flavours, making for an ideal match with barbecued beef ribs or grilled tuna. Windowrie has continued its very successful 150th year celebrations with a tranche of awards from Australia’s most respected wine magazine, Winestate. 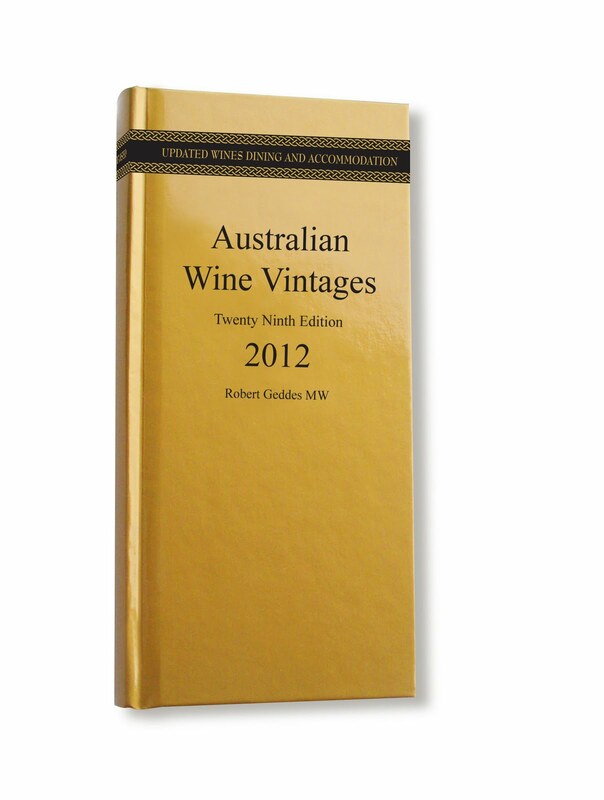 This ranking is given to the best ‘New Release’ wines from Australian and New Zealand that were tasted by a range of winemakers and wine judges as part of the monthly Winestate Magazine tastings during 2011. There were approximately 5,000 wines tasted. The wines that are included in this band comprised only 5% of the total 10,000 wines tasted by Winestate during the year. "…Pinot Noir produces the most complex, hedonistic, and remarkably thrilling red wine in the world!" says Robert Parker, a statement that Jim Lumbers, owner of Lerida Estate, whole-heartedly agrees with - especially when matched with his Christmas turkey. It was Jim's love of Pinot Noir that saw him spend many days in the vineyards of Burgundy while living in France in the late 80's, and prompted him to try the Pinot Noir wines of Dr Edgar Riek, one of the pioneers of the Canberra District wine region, on his return to Australia. This tasting bought him to the Lake George region of the Canberra District in 1997 to track down what he described as "some of the most outstanding Pinot Noirs I'd ever tried". As a result, Jim and his wife Anne Caine purchased a 40 acre plot of land nestled at the bottom of the Cullerin Range, overlooking the beautiful and mysterious Lake George - perfect for planting Pinot Noir. According to Jim, "The terrior here is ideal; Pinot needs sunshine without excessive heat, dry air, deep soil and cool nights, and the gravelly, colluvial soil at the foot of the Range provides all of this. These conditions encourage deep-rooted, healthy vines with enough stress to favour the production of grapes with thick skins, excellent fruit flavours and high levels of anti-ageing polyphenols. The slopes face east, allowing the rising sun to dry out any dew, and so reduce the impact of moulds and mildews. The steepness of the slopes also contributes to vine health by promoting good air drainage and reducing the risk of frost damage during the growing season." The newly released Lerida Estate 2009 'Cullerin' Pinot Noir, Canberra District (RRP $35) follows the highly successful 2008 'Cullerin' Pinot Noir which received excellent scores from both wine critics and wine shows alike. Jim says, "The 2009 vintage was crafted to achieve a balance between a fruit driven style, and more texture and weight. In particular the aroma of the new 2009 is very evocative with stewed plums, rhubarb and spice, mixed with gamey and savoury overtones, and a hint of vanilla from 20% new oak barrel." 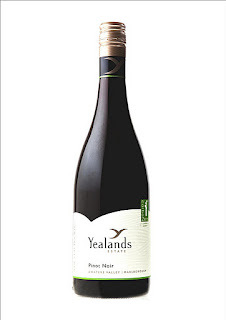 "Our winemaker Malcolm Burdett and I work together and draw on Edgar's previous experiences in the region to craft elegant Pinot Noirs made from low-yielding vines, with a strong focus on naturally ripened bunch tannins, which releases the full spectrum of primary and secondary flavours thanks to the use of wild yeast and minimal intervention. Whilst the 2009 is still young, if decanted before tasting you will discover that the wine already delivers the flavours to match its fine, silky tannins and body, and experience with previous vintages indicates that the wine will also improve over the next 8-10 years." This wine is ideal for this festive season's dishes of game and roast turkey…and many more to come! Another style of Pinot Noir which is impossible to ignore as summer rapidly approaches is Lerida Estate's 2011 Pinot Rosé (RRP $18). Again all the fruit for this wine is sourced from Lerida Estate's Lake George vineyard. Jim didn't need a rosé revolution to convince him that Pinot Noir can produce stunning, dry rosé wine with the colour of pale Argyle diamonds. "This wine is mostly made from juice runoff from our red ferments after 10-12 hours skin contact and holds both fruit and savoury characters wound up in a tight ball of natural fruit acids. If I was to classify it I'd call it a 'modern, high-end bistro wine'. It's quite French in style with a light touch and a style that goes fantastically with food – particularly with spicy dishes. I love it!" Elegant wines from Lake George in the Canberra District which showcase Pinot Noir's potential & bright future on this unique site. Availability: Nationally though Vintage Cellars and good liquor stores. 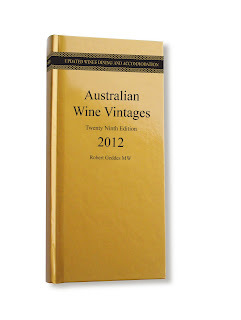 Distributed by Vino Bambino (VIC), Vintner Partners (NSW and QLD) and Lerida Estate (ACT). These wines can also be purchased at the Lerida Estate Cellar Door or via their online store at www.leridaestate.com.au. The name 'Lerida' was chosen to reflect the history of the region. Back in 1827, NSW Surveyor-General Major Thomas Mitchell named a local creek 'Lerida' after his travels in the Spanish region of the same name. Lerida Estate prides itself on excellence in design of both its wine and winery. The winery buildings were designed by distinguished Australian architect Glenn Murcutt and have featured in several international architecture publications. The Estate includes a winery, cellar door and café facility, as well as Petanque/boules pistes for competition or social games. ITS that time of year when we decide what will be the feature of this year's Christmas table, and to help with your decision-making about the wines to go with your choices, we asked our wine writer David Ellis for his ideas as to just what goes best with what. CHRISTMAS MORNING BRUNCH is becoming increasingly popular amongst Australians, David says, and to match creamy scrambled eggs and smoked salmon try a Handpicked Wines' delightfully "spritzy" Moscato d'Asti from Italy ($25,) or a great Aussie-made Chandon Cuvee Riche bubbly at $39.95. TURKEY, whether hot or as a cold salad, is always all the more enjoyable with a good red: for a break from the traditional Cabernet Sauvignon, try it this year with an Aussie-made Pinot Noir – Lerida Estate's "Cullerin" 2009 from the Canberra District at $35 is really beaut value; if you prefer a white, don't look past Hardys Oomoo Chardonnay ($18.50) while Chandon Sparkling Pinot Shiraz ($29) is a delightfully rewarding "sparkling red." 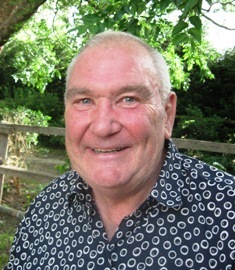 Following a partnership dissolution,Toppers Mountain is now solely owned by Mark Kirkby. Planting began in the spring of 2000, with the ultimate fruit salad trial of 15 rows each of innumerable varieties and clones. The total area planted was made up of 28 separate plantings, many of these with only 200 vines in a block. As varieties proved unsuited, they were grafted to those that held the most promise. Thus far, Gewurztraminer and Sauvignon Blanc hold most promise among the white wines, the Mediterranean reds doing better than their French cousins. The original 28 varieties are now down to 16; chardonnay, gewurztraminer, sauvignon blanc, tempranillo, shiraz and merlot are the commercial varieties, the remainder in the fruit salad block still under evaluation. Integrated Pest Management has been successfully adopted throughout the vineyard. Champion Winery of Show, New England Wine Show 11. It was a Cabernet from Clare which took out the Trophy for Best Dry Red at the Clare Valley Wine Show last Friday 28th October. The team at Koonowla couldn't be happier to have had their 2008 Koonowla Cabernet Sauvignon (RRP $22) judged to be the top wine amongst some of the country's most renowned Shiraz. Andrew Michael from Koonowla Wines was enormously proud of this win particularly due to the extremely high caliber of exhibitors in the class and across the board at the show and the regions fame for producing top quality Shiraz. He says of Koonowla's success "we were up against seriously high profile, expensive and top quality wines…for our Cabernet which you can pick up for just over $20 to receive this sort of accolade, it says a lot about the sort of value-for-money you can get in Australian wines from smaller Aussie producers". This value-for-money statement is nothing new for Koonowla Wines, as late last year the team picked up the trophy for Best Red Wine under $25 at the Great Australian Shiraz Challenge for their 2006 Koonowla Shiraz ($22), which is sitting proudly in the winery's trophy cabinet! The judging for the Clare Valley wine show went over two days, with 45 exhibitors and 352 entries in total, resulting in 144 medals awarded to those who stood out the most. Koonowla Winemaking duo David O'Leary and Nick Walker are no strangers to success in the Clare Valley Wine Show, and this year was no exception as they picked up numerous medals for wines made under their own label O'Leary Walker Wines. Koonowla Wines, set amongst the rolling broad acre hills of the Clare Valley, with 250 acres of vineyard and beautiful stone buildings is a truly iconic property consistently creating top quality Shiraz, Cabernet Sauvignon and Riesling. With the Summer of Riesling campaign about to kick off, timing couldn't be better for Koonowla with the new addition to the Koonowla Ringmaster range with their 2011 Ringmaster Riesling (RRP $16). This wine brings the entire Koonowla portfolio to a rounded six wines, and is a true Clare Valley style Riesling with lemon lime flavours and a crisp dry finish. This wine, like the rest of the fantastic value-for-money Frog Rock range, is to be taken seriously (despite its name-sake!) as it delivers wonderful structure and flavour and is made in a similar fashion to those created in France's best Champagne Houses. The Fizzy Frog is a classic French inspired blend of Chardonnay, Pinot Noir and Pinot Meunier, with small parcels of grapes which were hand selected to create a vintage cuvee that is light salmon in colour. Frog Rock is owned and run by long time locals the Turner Family, and they're thrilled with their debut sparkling wine (which sits right next to their award-winning desert wine 'Sticky Frog'). According to owner Rick Turner at Frog Rock "this little beauty has an interesting complexity that arises from secondary fermentation, providing a lifted fruit nose and lengthy mid palate flavor with a fine persistent bead". Fizzy Frog is designed to be enjoyed as an aperitif in the sun this summer with good friends and your favourite music. Frog Rock Fizzy Frog can be purchased online at www.frogrockwines.com and can be found at good independent liquor stores Australia wide. WHILE few had anything positive to say about the 2011 harvest in the Clare Valley – and most of the rest of a very sodden South-Eastern Australia for that matter – Koonowla winemaker Andrew Michael says it was one of those times when small proved sound. "It was certainly a challenging time, particularly for larger commercial producers, but being a small operation we had more 'hands on' time with the vines, and our micro-climate escaped the worst of the weather," he says. And he is particularly pleased with his 2011 Koonowla Ringmaster Clare Valley Riesling. "It bursts with mouth-filling citrus flavours and has a zesty long acidic finish," Andrew says of this wine that came out of some of Australia's worst vintage weather in recent history, with deluging rain and floods across most South-Eastern growing areas. At $15.99 this is a good-value drop to take along to your local Chinese BYO. AND one for not-too-spicy Indian dishes. ONE FOR LUNCH: ANOTHER small South Australian maker to see the positive side of the 2011 vintage was McLaren Vale's Kangarilla Road. "Our 2011 Kangarilla Road Primitivo Rosé actually benefitted from the mild summer and that cool, wet vintage," says winemaker Kevin O'Brien. "While McLaren Vale is rightly famous for its reds (such as) Shiraz, it's also capable of producing lighter reds when conditions allow, so we jumped at the opportunity to produce some of the finest Rosé wines we've ever released." With a palate loaded with zesty rhubarb and a spicy finish, at $22 this is a great companion with not-too-spicy Indian dishes. Kangarilla Road also produced an excellent Chardonnay from that trouble-some 2011 vintage, one full of lemon and grapefruit flavours. Value at $18.